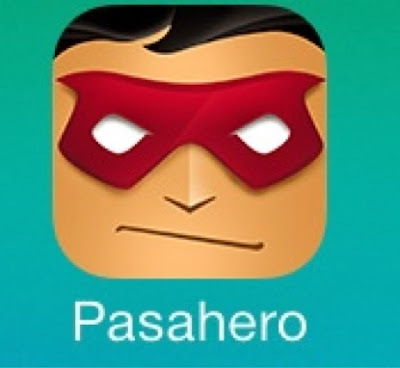 Have you heard of the App called ParaHero? Well, I heard it over the radio last week and decided to install the App. PasaHero is actually an App intended to provide security while you are traveling - may it be as a passenger or driver. And it's quite easy to set up your account. 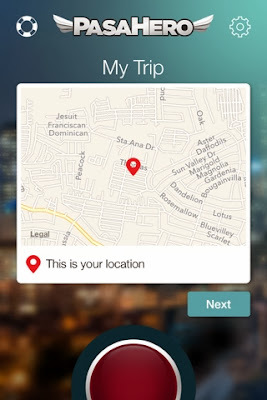 The most important thing to know is that PasaHero is an App that uses GPS, thus, the need to have a constant Internet connection. Once you're done installing the app, it's very easy to set-up your account. Either you register using your Facebook or Twitter account or you can also register a totally unique email address. The next step will ask you to register the people you wish to be notified in case you have an emergency. It comes with a big, round, red button called the Panic Button. Once you press the panic button, it sends an alert to the registered numbers you have set up. The exact location where you sent the Panic Button will be sent to you registered people. Quite easy right? Nowadays, it is very important to be use technology available to us to make ourselves safe. Unfortunately, our environment is becoming less and less safer. It can also be installed on Android software. Try PasaHero and let me know your experience.